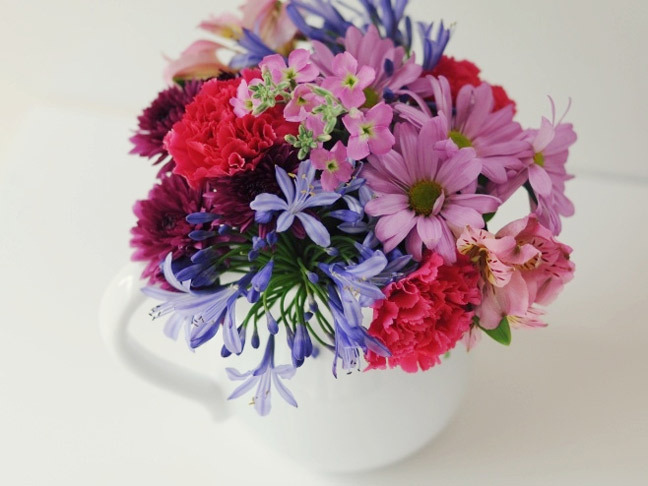 Want to brighten your home or table with pretty flowers? Don't overlook the pre-packaged stems at your local grocery store! Instead of dropping big bucks at the florist, you can make a magazine-worthy bouquet in just a few simple steps for a lot less. 1. 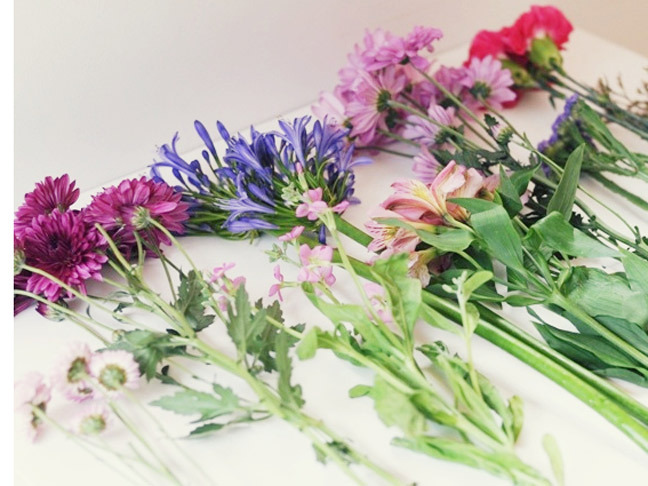 Almost every grocery store carries a small selection of inexpensive, celophane-wrapped flowers. 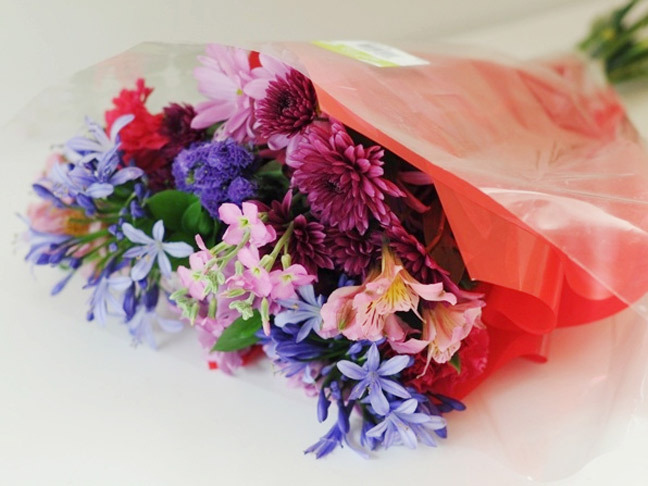 Choose the bunch that looks the freshest and contains the most amount of flowers that appeal to you. 2. 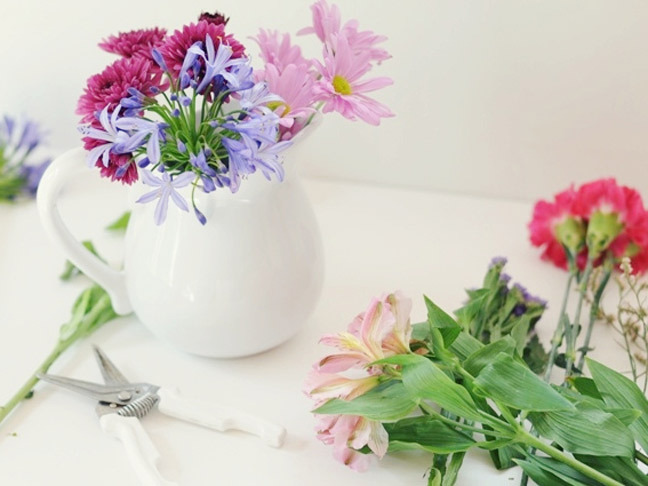 When you get home, take apart the bouquet and spread the flowers out on a table or counter. Discard any greens or baby's breath, and put all of the like flowers together. 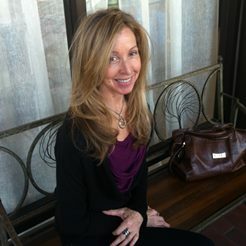 This will allow you to see what you have to choose from and will help you as you make your arrangement. 3. Chose a container for your flowers and fill it with water. A standard vase is a classic choice, but check your cabinets, your closets, or your cupboard if you're looking for something different. 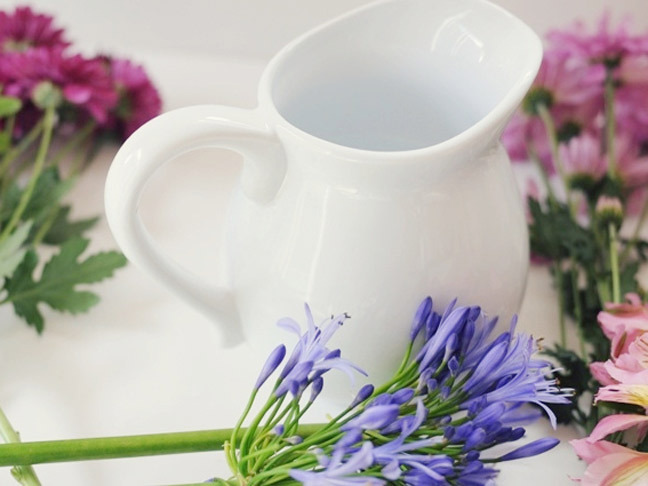 A simple jar or pitcher are great alternatives to a vase. 4. 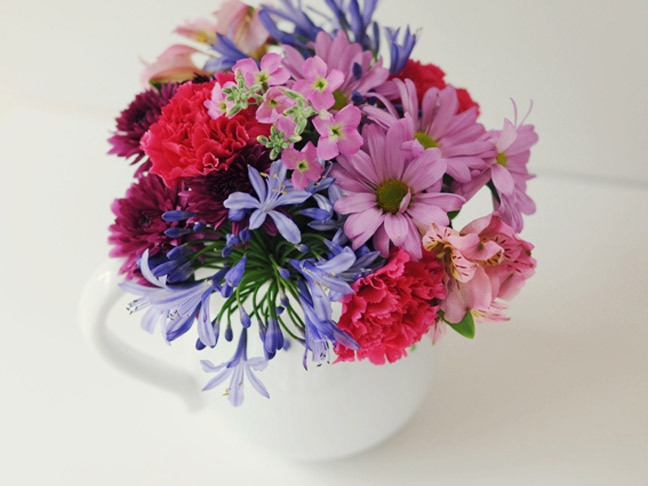 Begin your arrangement by selecting the largest of the flowers and trimming the stem so that just the flower head shows when it's placed inside your container. Do the same with the next smallest bloom, and then the next, sticking them into the container one by one, until the bouquet looks full and there are no holes in the arrangement. As you're creating your design, think about balancing colors, textures, and type of flower, and make sure to look at the arrangement from all sides as you work. 5. Voila! The end result is a modern-looking, compact arrangement that rivals one from a pricey florist. Perfect for the dining room table, your kitchen countertop, a coffee table, or your bedside table! 6. Done with your flowers? Or just want to stretch the life out of a single bouquet? 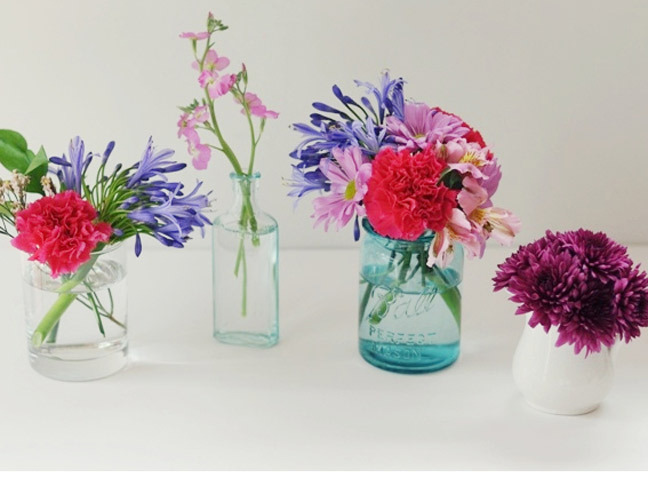 Use small bottles, bud vases, or glasses to create mini-arrangements to scatter throughout your house. They're an easy way to add a bit of pretty to your rooms!